Since supposedly we're adults now Kevin and I decided to start upgrading our bedroom furniture. Granted at this point we're still going for IKEA, nice IKEA but yeah. 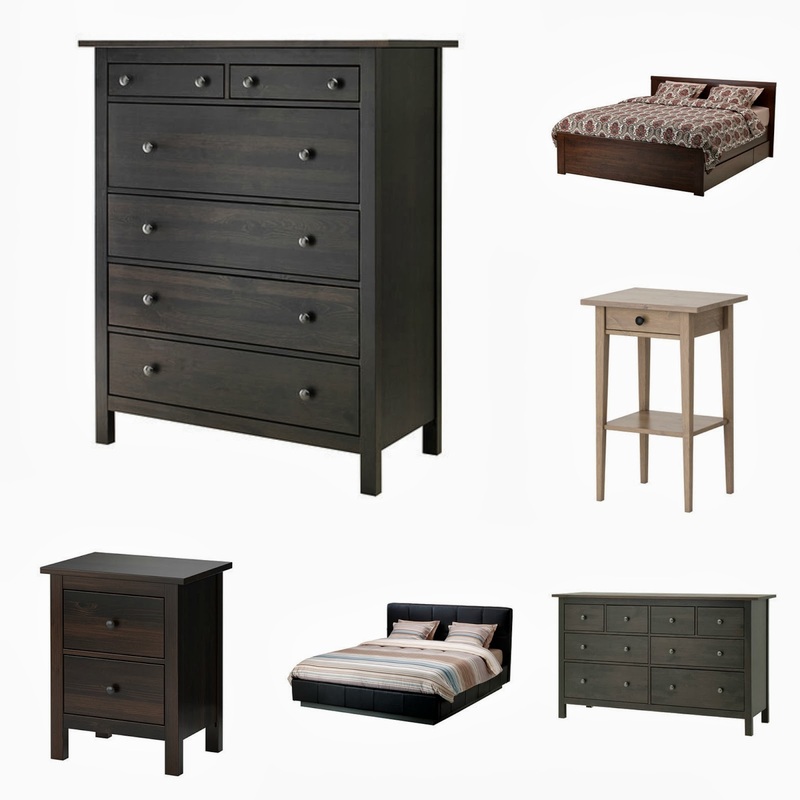 We figured out that we really liked the Hemnes style, plus some of the others had nickel hardware and I don't want to replace them! We already got the grey nightstand but of course then Kevin is like "I'm not a fan of that color" so I think we'll be going back to the dark brown. Now we just have to decide about the bed frame. The top one is really nice with the under bed storage. Whenever I look at one I keep hearing Stephanie's voice in my head saying "Why do you need so much storage? You have too much stuff!" Extra blankets and sweaters woman! Although I have been digging the whole leather/fabric headboard thing. love the great furniture you had picked. Will def look great wherever!!!! !